Another opportunity for snapping up fashion bargains at much reduced prices (up to 70% off) is at the one day Fashion Circus sample sale. 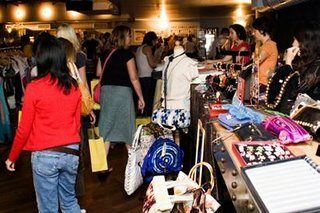 Fashion Circus is a fashion shopping event open to both the public and buyers but unlike other sample sales, at Fashion Circus, you can purchase brand new merchandise directly from the designers before they even hit the shelves. Designers: You’ve seen many of these clothing and jewelry designers featured on Lucky, In Style, Fred Segal and various other magazines and stores. Because of the limited cuts and lines they produce, you’ll be able to find one-of-a-kind items not to be seen anywhere else! In addition, thousands of premium denims like True Religion, Paper Denim, Blue Cult, and many more will be offered at this event at discounts of 70% off and more!! !